The data recovery industry is seeing more and more drives with a USB interface. As a result, imaging processes for unstable/degraded USB drives (especially those that have an onboard USB connector) are becoming a concern for many data recovery companies. Good news! Finally, after such a long time without a proper imaging solution for USB drives, DeepSpar is introducing a professional data recovery tool built specifically for USB drives. The USB Add-on for DeepSpar Disk Imager 4 is the industry's first USB hardware imager that implements native USB support. By bypassing BIOS/OS, it has full control over imaging processes for USB drives, nearly at the same level as for ATA drives: the add-on enables multiple passes with sector map, read sector timeout, effective and timely device resets, drive repower, and more. READ THE BLOG POST Imaging Hard Drives with USB Interface. 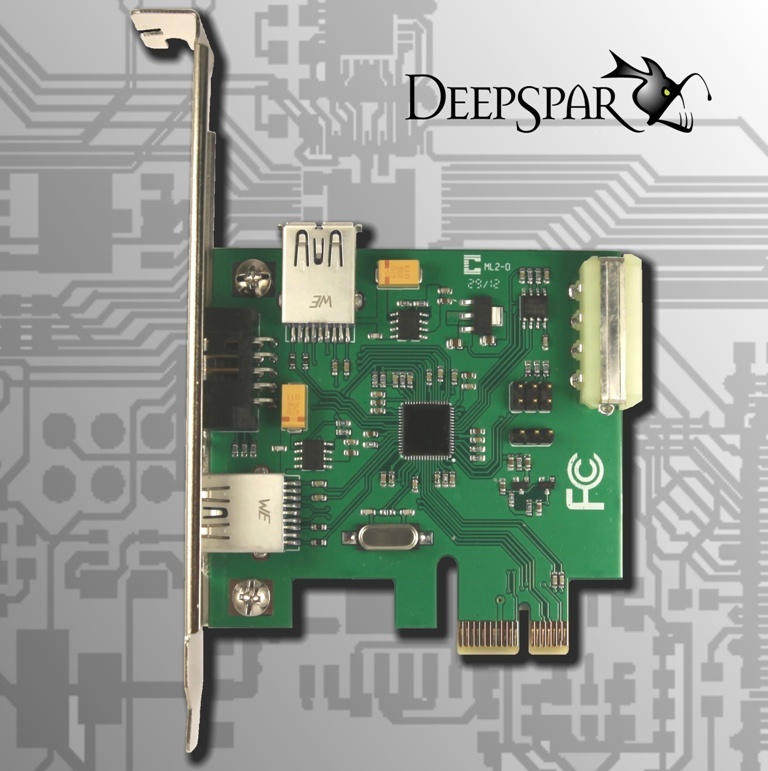 CONTACT US for more information on the USB Add-on PCIe board. LEARN MORE about other DeepSpar Disk Imager Add-ons.